JMB Travel is your travel specialist for tailor-made holidays in Bulgaria. JMB Travel Bulgaria organises holidays, incentive trips, art and nature activities, cultural tours, city breaks, spa and affordable medical treatment. 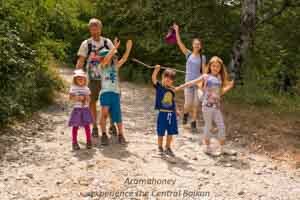 Activity holidays: We are the specialist for active holidays in Bulgaria. We can recommend the best locations for nature, outdoor and sports activities: walking, paragliding, rally driving, golf, swimming, MTB, horse riding, survival and bushcraft. And nature discovery activities such as bird watching, recognising wild foods, living off the land, bee keeping, farming. Incentive travel: teambuilding, MICE, incentive and corporate travel rewards. Cultural tours of Bulgaria: Classical Tours of Bulgaria to see the best of Bulgaria as well as specialised tours for history, archaeology also tailor-made Women’s Tour of Bulgaria. Luxury holiday: Bespoke thematic tour of Bulgaria, Greece and Turkey with boutique hotels and the best beach and spa resorts. We also organise culinary tours, wine tatsting and art discovery. Accessible travel in Bulgaria: JMB Travel is the specialist for accessible travel in Bulgaria. In Sofia and Sunny Beach we can recommend hotels with adapted rooms, transport that are wheelchair friendly and a bespoke itinerary. Visit Plovdiv: Plovdiv is Europe’s capital of culture in 2019. It is a beautiful city with 6000 years of history and so much to do. 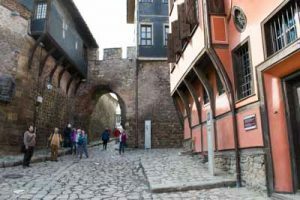 We can help you organise a city break in Plovdiv and recommend good hotels, great restaurants and lots of fun and interesting things to do in Plovdiv. JMB Travel is a licensed tour operator in Bulgaria. We provide a complete range of travel services: meet-and-greet at airport, transport, airport transfers, car hire, hotel booking, the best restaurants, visits and private tour guides, visa application. We also operate as a DMC, Destination Management Company, for all ground-handler services. We offer free personalised advice and information on travel and holidays in Bulgaria including what to do in Bulgaria, where to stay and eat as well as what to see. We are glad to contribute our local knowledge and travel experience to help you organise a memorable holiday in Bulgaria. Bulgaria is fast becoming a favourite destination for dental and medical tourism. It offers low-cost and high-quality medical treatment by European standards. The most commonly sought after treatments are low-cost dental implants and cosmetic surgery: breast augmentation, liposuction and tummy tuck as well as MRI, PET-CT medical scans with no waiting time and orthopedic surgery.